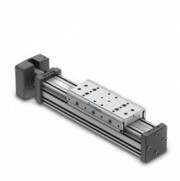 Tol-O-Matic offer a wide range of Electronic Actuators and controllers. Form rod style to cylinder style Tol-O-Matic have got it covered. Contact us for more information.